Apple announced earlier this year that Spotify would be coming to CarPlay, making it one of the first compatible third-party apps. Pioneer released CarPlay for its NEX receivers and AppRadio 4 on October 1 and users have been able to "field test" the app ever since. 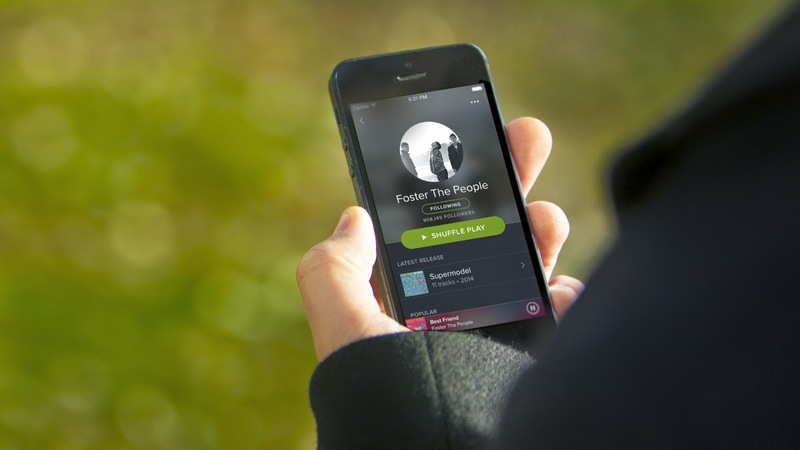 Spotify released an update for its iOS app on October 1 promising CarPlay compatibility. But major issues existed making the service almost unusable within CarPlay. 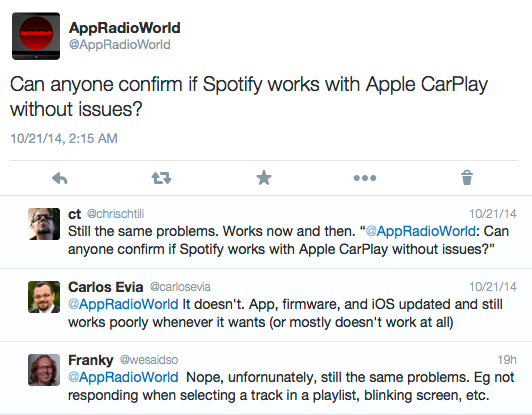 Then, on October 20, another Spotify update was released which once again promised CarPlay compatibility. But nothing much has changed since. Interestingly, Spotify's website doesn't make any mention of CarPlay compatibility. There have been no press releases in this regard either. The only mention you will find is in the app description in the App Store. But in spite of the last two updates mentioning "Now supports Apple CarPlay! ", the app still has a ways to go before being recommendable. The above list is long but probably incomplete. Also, not all users may see the same issues. If you encounter any other bugs or if you've been able to get Spotify to work let us know in the comments below. Hopefully fixes are coming soon.